The term "rare" gets tossed around in craigslist car advertisements like an old chestnut, but sometimes rare doesn't mean rare when new, but rarely seen on the road anymore. 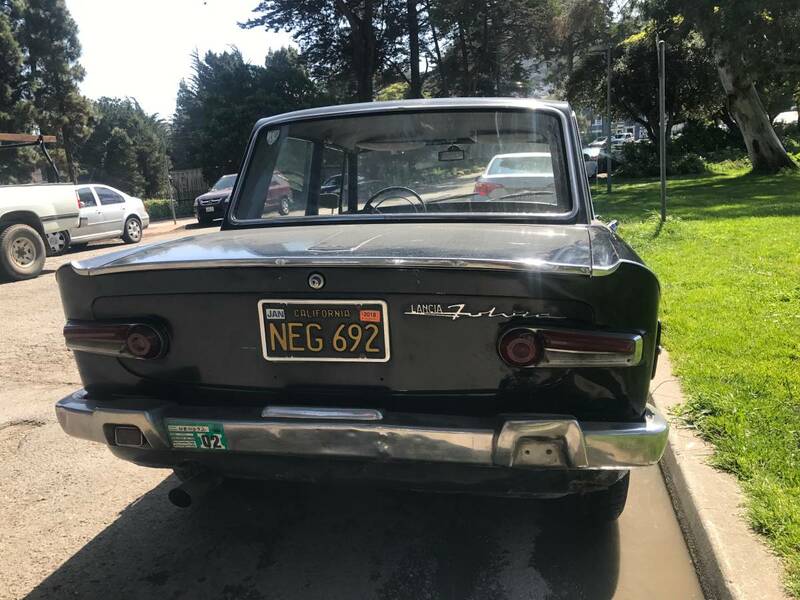 Like this 1964 Lancia Fulvia Berlina offered for $7500 in San Francisco, CA via craigslist. Tip from FuelTruck. Owned by local Italian mechanic with upgraded 1.3 liter Championship Rally engine, this fun-loving sports sedan needs a classic car enthusiast. All original Lancia Fulvia Berlina. Serious inquiries only, please. If I wanted a boxy Italian (and who doesn't, if we are being honest?) I would look for an Alfa Romeo Giulia. FWD vs RWD, simple as that. But I do love those Campagnolo wheels! Is 'Berlina' the Italian term for "Boring in the way only the Germans can do boring"? The original three box sedan form ... where did I put those vintage Hemingway seegars ? Wow! 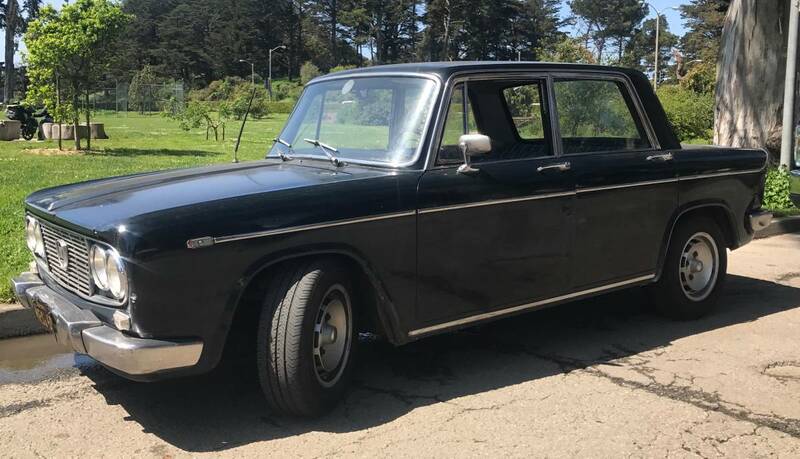 It looks like a BMW 2002. And once again... I'm the only one that loves this thing... Thank again, my daily box is really boxy (88' Supercharged Mr2) This Lancia is so great due to all the small details like the delicate tailights and the fabulous way the front headlight/grill assembly is lassoed in oval trim. And those wheels! Campy wheels are simply cool no matter what. I love this thing BECAUSE it is not a 2002/Giulia! It has 80's punk/mod high school wanna be written all over it. Fantastic car. Needs a vintage lugged Basso on the roof for when it breaks down. abikepeddler - trust me, you are not the only one who likes these things, and I think they are starting to get the love they deserve. Buy one before prices jump.